New Pokémon games have been revealed! Pokkén Tournament DX comes to Nintendo Switch on September 22, and Pokémon Ultra Sun and Pokémon Ultra Moon come to the Nintendo 3DS family of systems on November 17! Fans were disappointed that the rumored Pokemon Stars version for Switch was nowhere to be seen and a website listing showing TBA led to rampant speculation. The Pokémon copy shut down rumors that a Switch version was coming and that the website listing was an error. Maybe we’ll find out more at E3? Here’s hoping as I for one would love a mainline Pokémon game on the Switch. On May 29, a new set of amiibo in the Super Smash Bros. series will launch, featuring Charizard, PAC-MAN, Wario, Jigglypuff, Greninja, Robin, Lucina and Ness. July brings Dark Pit and Palutena. 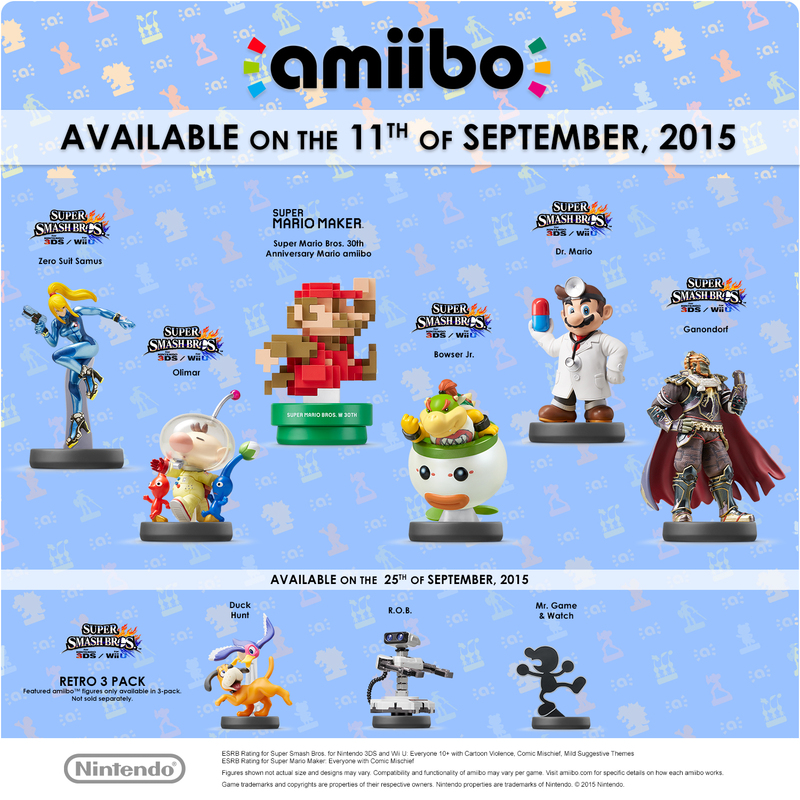 And in September, Zero Suit Samus, Ganondorf, Olimar, Dr. Mario and Bowser Jr. will join the amiibo family. Masahiro Sakurai, director of Super Smash Bros. for Wii U and 3DS, provided an updated on the upcoming Mewtwo DLC at a recent event in Japan. Thankfully, it sounds like it won’t be too much longer before the character becomes available. Sakurai said that work on Mewtwo “is pretty much done” and the DLC will be released “pretty soon.” Fans are advised to wait for an announcement from Nintendo. via Sakurai says Mewtwo DLC for Smash Bros. is releasing soon – Nintendo Everything. There are multiple ways to earn entries, make sure to follow all the steps for the maximum amount of entries and good luck!